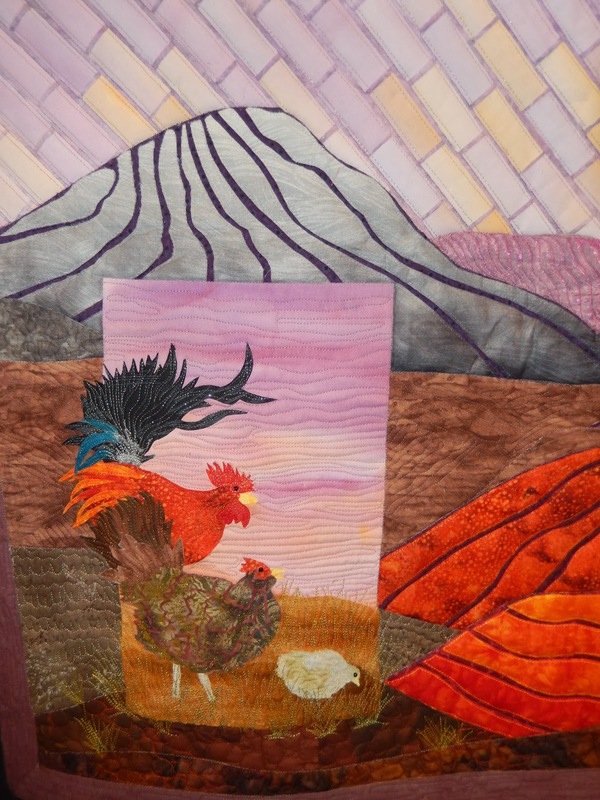 The Las Colcheras Quilt Guild of Los Lunas, NM recently hosted a notable quilt show. You can see all of the quilts in my Quilt Show Gallery. Vicki Conley's Chain of Craters won Best Use of Color and Best Theme Quilt. The integration of a photographic image within a raw edge appliqué quilt was very striking. The sky created by tiny fused rectangles secured with a straight line of stitching on either side was an interesting technique with a modern feel. Linda Gerritson's New Mexico Radiance has an intriguing contrast between subtle, saturated colors and bright colors. 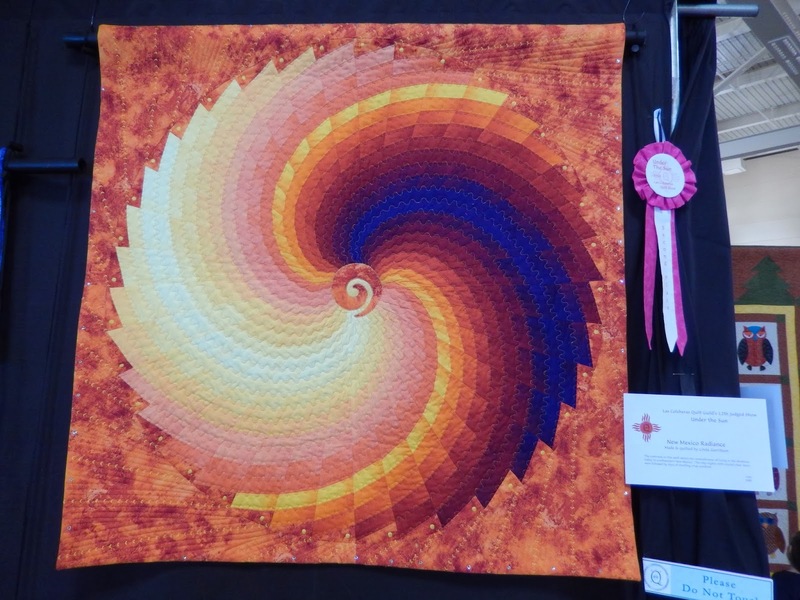 Krystyna Swirydczuk employed a nice assortment of quilting designs in her "Over, Under & Around" first place winner. I'll have more to share soon, so don't forget to check back.